When you realize that your roof accounts for about a third of your building’s exterior, the importance of repairs becomes incredibly clear. At Transcendent Roofing of San Antonio, we are here to help you maintain your roof with any necessary repairs, whether that involves replacing all the shingles or just a portion of them. We can assist with repairs on all types of roof, from shingles to metals to concrete tiles to tar or shake and on. The best way to tell if you need roof repair done on your San Antonio property is to ask our team to do an inspection. Even so, you will need to be able to spot the warning signs to know when to give us a call. The most common indication of issues with your roof is experiencing leaks and unfortunately, they may start in smaller drips, making them hard to spot. If you notice any rotted wood along the top of your home, chances are there is a roof leak we should take care of for you. In the case of asphalt shingles, you may notice that the granules are getting worn away. While you are most likely to notice this if you are up on your roof to clean the gutters or something similar, you may also spot the granules in the downspouts or gutters. All home and business owners should also be on the lookout for potential issues such as wear and tear surrounding roof openings, dark or dirty shingles, cracked or curled shingles, missing shingles, peeling exterior paint, stains on the interior walls or ceilings, exterior light in the attic, and a sagging roof deck. Even a spike in your electric bill may indicate you need roof repair done by our team if air conditioning is escaping through the roof. Is Repairing The Roof Enough? Sometimes, you may think that your roof only needs to be repaired, but it actually requires replacement. While this is more expensive, there is no getting around it as a faulty roof will begin to affect your entire home. During an inspection, our experts can determine whether repairs are enough in your situation or you need a full replacement. 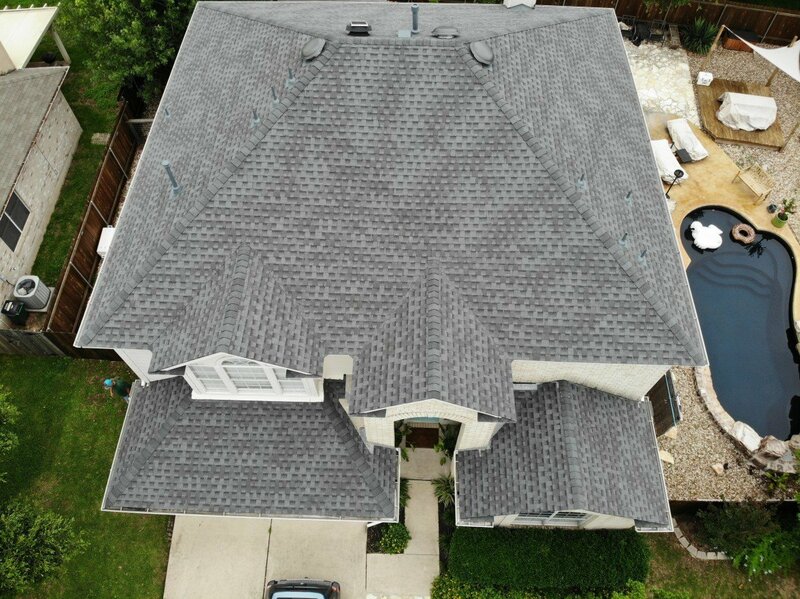 At Transcendent Roofing of San Antonio, we always begin our roof repairs with a thorough inspection. This allows us to confirm the issue that needs to be repaired and decide what steps to take to resolve the problem. We will explain the problems with your roof and the required repairs to you in as much or as little detail as you like (we understand every customer is different and not all want to learn about their roofs). Then, we will provide you with an estimate and go ahead and schedule the repair. During the repairs themselves, our roofers will take care of the issue in an efficient manner and finish up by cleaning any materials, leaving your roof as good as new and your property without any indication that repairs were made.